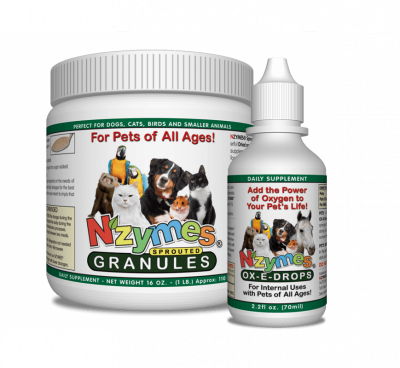 This special Bundle was created to provide the benefits of two of our most popular items; Our Sprouted Granules (1-Lb) and our Ox-E-Drops (2.2oz). These 2 items support key areas of Antioxidant and Immune function. 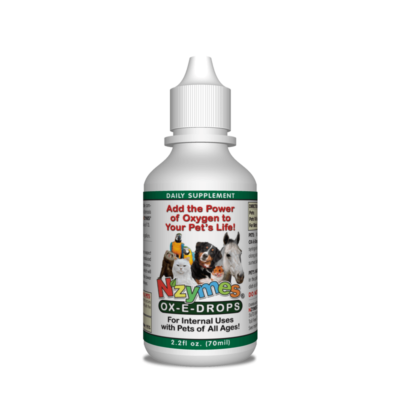 Used together, they can help to address many areas of pet health. One very common area of need is skin problems. The items in this Bundle are two of the key players in our Healthy Skin Program. If your pet is struggling in this area, please consider following the full skin program. In today’s economy, THIS kit may offer you an affordable way to start on the road to improved skin health. A 1-lb jar of Granules provides the more economical aspect of this kit, with enough 'nutritional supplement' to last for many months for smaller pets, and 2-3 months for larger ones. Earn up to 480 Loyalty Points. 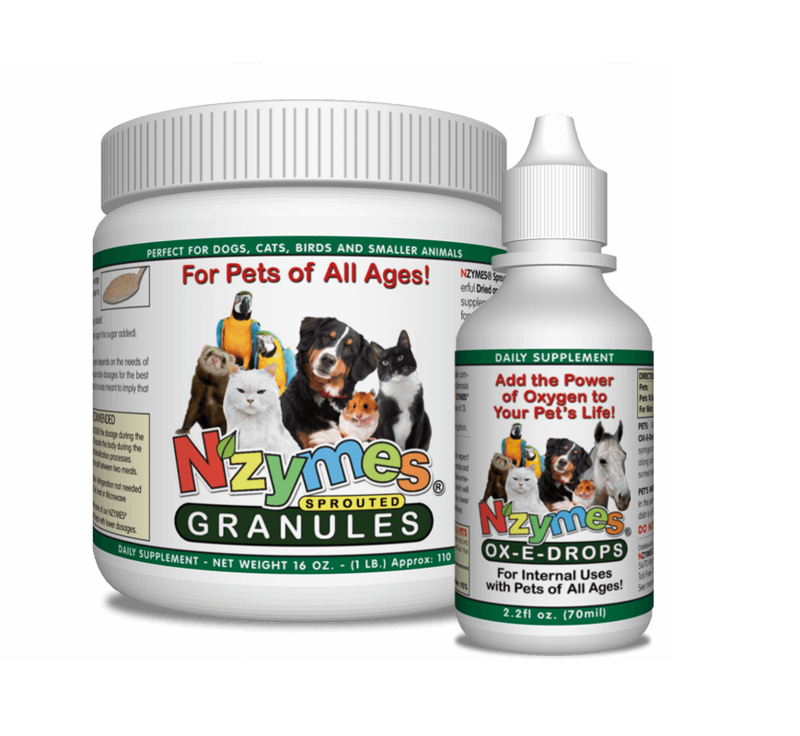 This Kit features a (1-lb) jar of Sprouted Granules plus a 2.2oz Ox-E-Drops, and is bundled for the convenience of ordering and obtaining correct items needed in certain challenging health issues, such as Yeast Support. One such issue as on-going itchy skin problems with dogs or cats. 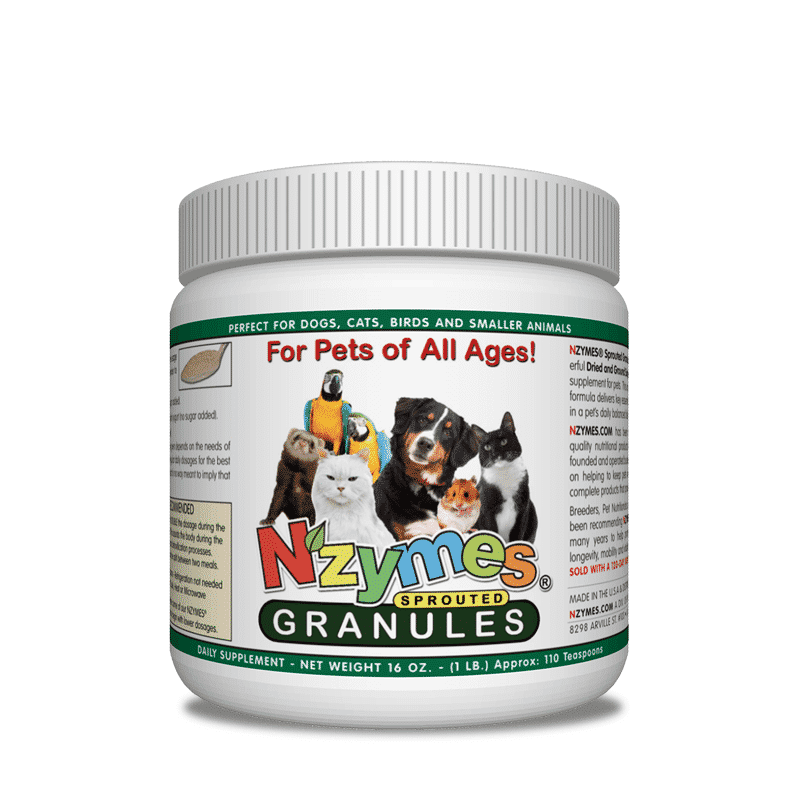 The Granules and the Ox-E-Drops provide basic support for this issue, especially when coupled with one of the foods from our Recommended List. While a customer may eventually choose to use all of the items from our Healthy Skin Program, the Granules and Ox-E-Drops can serve as a “starter kit” to begin the process. Please understand that most of these itchy skin issues are stemming from an internal imbalance caused by a breakdown in the pet’s natural, protective gut bacteria. In every case of yeast overgrowth, these two items would be recommended. For milder cases, these two may be all it takes – When coupled with a proper feed program. We invite you to contact us for any support necessary to help achieve success with your case.